We all know that Belgaum was a major British colonial establishment. Even after sixty years of British departure, the glimpses of past are still visible through beautiful European architectural sites in some parts of the city, especially in the cantonment area. The British government had also established a water supply network in certain parts on the city more than hundred years ago. A pumping station built in 1908 is still visible in Veerbhadra nagar in almost devastated condition, though present city corporation has installed a new unit in the same building, but I wonder if it is in a running state, looking at it pitiable condition. Modernisation is necessary and is inevitable to be aligned with the pace of presence, but the past glory of a place enhances the value of cultural heritage. 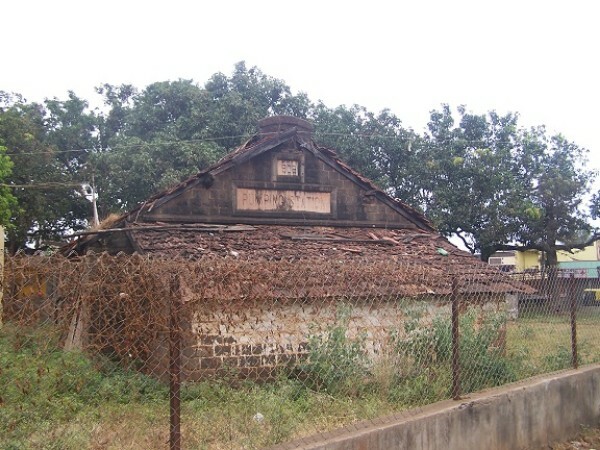 This century old pumping station leaves behind a history of The British empire’s presence in Belgaum. The building could definitely be restored and declared as heritage site to be utilised it as a museum of old historical photos collection or something. Many photographers, especially the photographers families who are photographers by generations, have a huge collections of British time vintage photos of this classic place, who may be glad to share them for this purpose. Will the concerned department give a thought to this thought of mine? Sanjay Deshpande is a noted and versatile sitar player who is known for presenting a variety of music forms on his Sanjaykhani Sitar.